Flat grain bamboo is available in plywood, flooring and veneer. This look captures best the natural aesthetic of bamboo. 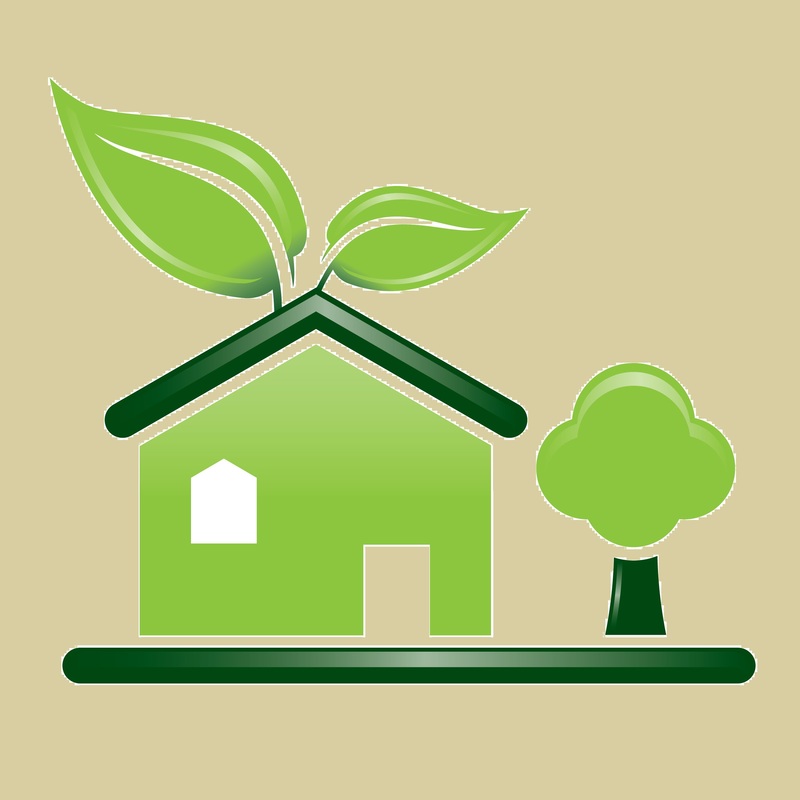 Flat grain works well in both a commercial or residential environment, and the plywood can be specified PlybooPure (no added urea formaldehyde) and FSC Pure. 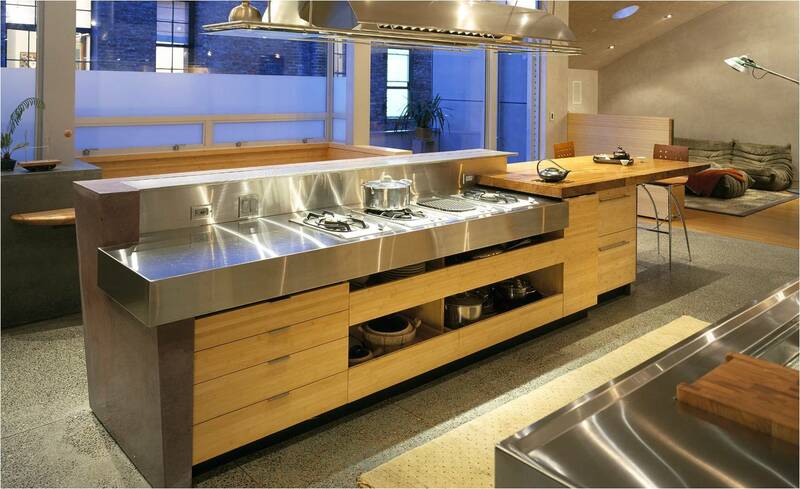 All flat grain flooring is PlybooPure and FloorScore-certified, and can be specified FSC Pure. 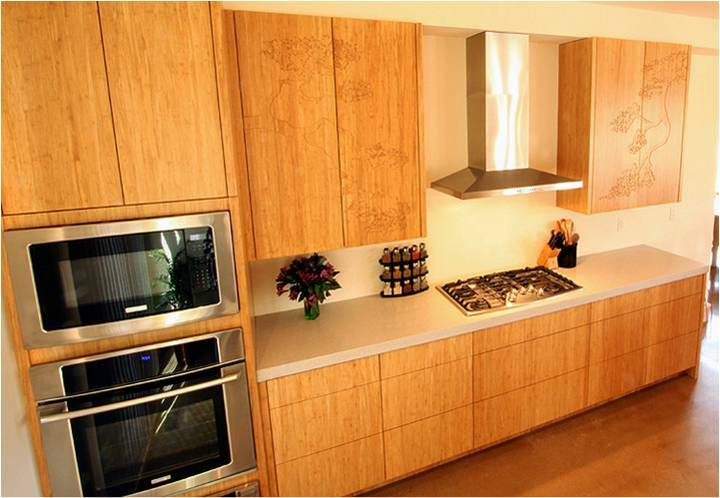 Renovate your kitchen with bamboo cabinets made with Plyboo's architectural grade bamboo plywood. 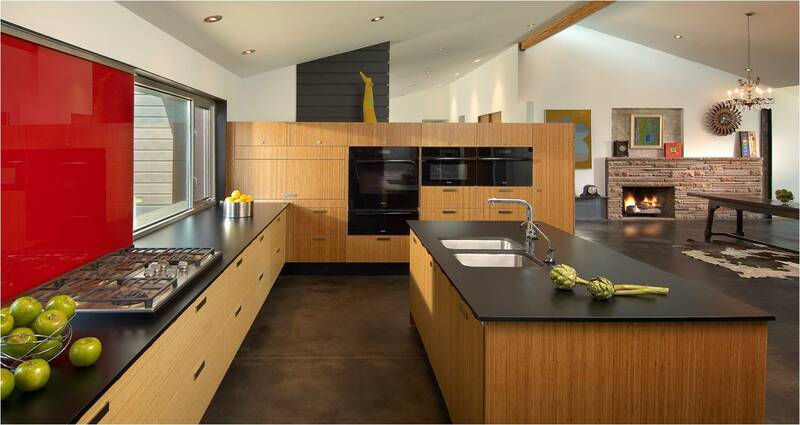 Plyboo bamboo plywood is 100% rapidly renewable bamboo that can be custom crafted or designed into the cabinets that will complete your dream kitchen. Plyboo's bamboo plywood has a beautiful edge that can be left exposed or finished with edge banding. Plyboo's bamboo plywood passes the California Section 01350 emissions test (the most stringent test currently administered), is CARB compatible and is also available PlybooPure (Urea-Formaldehyde Free), SCS Indoor Advantage Gold, and FSC Pure (100% of the product comes from an FSC Certified Forest). Edge grain bamboo offers a sleek, contemporary aesthetic. Available in both amber and natural, edge grain plywood can be specified PlybooPure (no added urea formaldehyde) and FSC Pure. 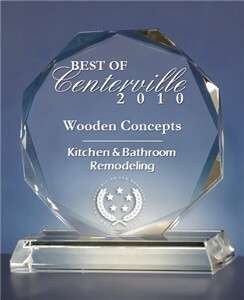 All edge grain flooring is PlybooPure and FloorScore-certified, and can be specified FSC Pure. Combining beauty with exceptional durability, PlybooStrand plywood and flooring products are architectural quality and are appropriate for both commercial and residential environments. PlybooStrand plywood can be specified PlybooPure (urea-formaldehyde free). PlybooStrand flooring is PlybooPure and FloorScore-certified, and can be specified 100% FSC certified.